"Market opportunities and consumers increase pressure to enhance healthcare data exchange"
Patients are gaining control and giving incentive to Health Systems to deliver a more interoperable environment to their patients. 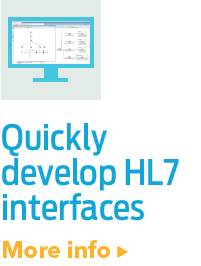 Cloud applications that choose to have standardized, modern APIs leveraging FHIRAn HL7 standard that is short for Fast Healthcare Interoperability Resources and pronounced “Fire”. The standard defines a set of “Resources” that represent granular clinical concepts. 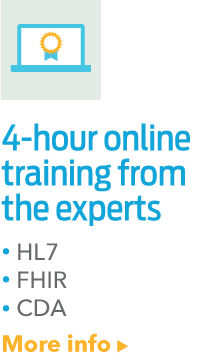 The resources provide flexibility for a range of healthca..., JSON, and OATH2 lead to lighter and simpler integration. Corepoint Health is excited about the innovation, and is helping health systems today create a modern interoperability ecosystem by leveraging a platform that can exchange any protocol, any standard, and with any application. 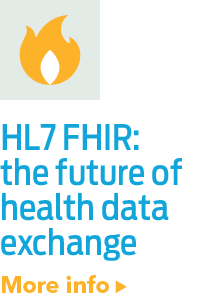 Learn more about Corepoint Health's support for FHIR and RESTful web services from the most recent press release, "Corepoint Health Boosts HL7 FHIR Data Exchange Capabilities with Latest Release of Corepoint Integration Engine."